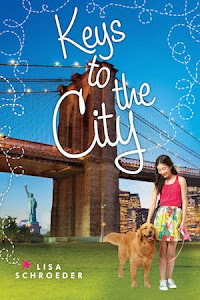 Lisa Schroeder, Author: Giveaway of TWO highly sought after YA ARCs!! 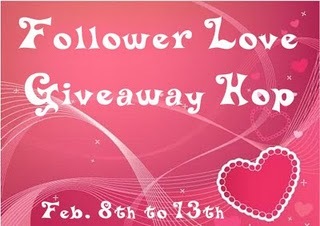 I'm really excited to be participating in the Follower Love Giveaway Hop, hosted by Kathy Habel at I am a Reader, Not a Writer. Every month, Kathy organizes a "hop" so blog readers can quickly hop from blog to blog and enter to win lots and lots of prizes. So awesome! I know a lot of people don't like Valentine's Day, but I do. Any day that is all about love is a fabulous day, in my opinion. Who was it that said, "All we need is love?" Some famous boy band, maybe? Okay, so here is what you can win! One lucky person will win TWO ARCs, as follows. 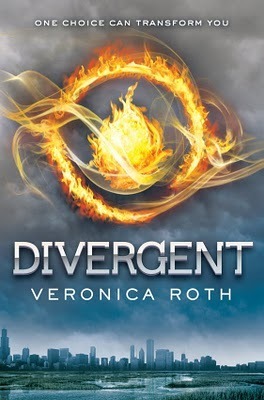 First, From the December hop, I discovered that there are a LOT of people looking forward to DIVERGENT by Veronica Roth. SEAN GRISWOLD'S HEAD by my friend, Lindsey Leavitt. This one is even SIGNED by Lindsey. 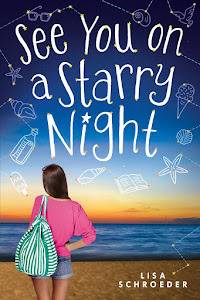 From Goodreads: According to her guidance counselor, fifteen-year-old Payton Gritas needs a focus object—an item to concentrate her emotions on. It's supposed to be something inanimate, but Payton decides to use the thing she stares at during class: Sean Griswold's head. 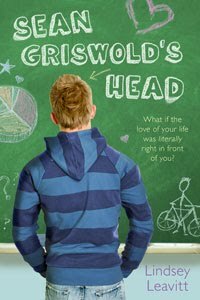 They've been linked since third grade (Griswold-Gritas—it's an alphabetical order thing), but she's never really known him. The focus object is intended to help Payton deal with her father's newly diagnosed multiple sclerosis. And it's working. With the help of her boy-crazy best friend Jac, Payton starts stalking—er, focusing on—Sean Griswold . . . all of him! He's cute, he shares her Seinfeld obsession (nobody else gets it!) and he may have a secret or two of his own. 1 entry - leave a comment telling me someone or something you LOVE. Please make sure you give me a way to contact you if you should win. The contest runs from February 8th all the way through 11:59, February 13th, and is open to anyone who has a US OR Canadian address. I will announce the winner on February 14th!! I love my family and friends they always inspire me and bring so much happiness into my life. Thanks for the awesome giveaway. What a great Giveaway! I love spending time with my newly wedded Husband. I love my dog Shady! Really, he's been this Buddha-rific soul in our lives. He's going to be 12 this year and is starting to show signs of his impending old age physically, but emotionally he's still a little pup. He loves life and has taught us to take pleasure in the simple things. Thanks to you and to our Shady-Pie! Oh I Love my husband and my children more than anything else in the entire world!! Great giveaway hun! this is amazing divergent looks amazing!! I love my dog more than anything. I love spending time with my family and friends. Its truly the best part of life. I LOVE volunteering at my summer camp for a week each year. It is always my favorite week of the year - I've been going/volunteering there for something like 11 years - those people are my family and I LOVE them and the whole experience! PS I am REALLY looking forward to SGH! Heard great things about it from people with ARCs! +1 I obviously LOVE books cuz I'm a book blogger! :) And my dog. I love SmartWool PhD socks so much I am probably violating laws. I love sitting at the lake in July and staring over the water as the sun sets and the tiny waves turn pink. I'm a follower of the blog and twitter. I really want to read both of these books! Great contest. I love the sweet snuggles from my children, 13, 11, 6. They are priceless and the older they get the more priceless they get! Great giveaway! I really love my Mom and my cats. And book bloggers. Love my girls and the fact that family is important to them. This is going to sound sappy but I love my boyfriend - I have a very stressful job and he supports me all the time with cuddles and makes me breakfast etc. I love him to bits. I love books (obviously) my family, and my job. All three are very rewarding, and make my life happy. I love my boyfriend Marty! I love swing on swing sets on warm summer days! I love the fact that veronica roth is so YOUNG and will be published soon! i'm proud of her and dont even know her! and i hope to follow in her footsteps as i begin querying my MS. I love chocolate!!! And books! I love finding a new great read along with my hubby and little tyke. I love my sister. She is very special to me. OMG thanks for this giveaway!! I love my family. I love my puppy Biscuit!!! I love my new BF...he's the most amazing man I know! I love... my puppy dog, Claire. I love ice cream. I'm eating some right now even though it's like zero degrees outside. I love my Beagle-Basset Hound Jeb. He makes me smile all day long, and he is such a good snuggler! I don't think I would live without him! i LOVE MY LIFE My kids and grandkids fulfill my life. I would love to win wither of these books. All books won are given to the Middletown Highschool after they are reviewed. I love my kiddos! They make me a better person every day. Thank you for the contest! I love playing the flute! I love everything about it, even the hard work. It brings me joy. I love my husband. He is my rock in this wild world. Thanks for the fab giveaway. I love my mom. I love my son, my cat, and I love to read. I love book stores . . . and I'm not talking about the aisle at Wal-Mart, but a REAL bookstore. Independents are my favorites (they're more friendly IMO), but the biggies are good too. Thanks for the chance to win! I love lots of things, but since v-day is around the corner, I will say that most of all I love my husband! He is the best. I follow you on twitter (@writertessa) and LJ. I love my life currently. I am going to go to college this year and I'm just enjoying what's going on with the rest of my senior year. Oh yes and other stuff too - mostly food and the hubby. I love my son! He has expanded my world so much, and the 5 long years it took me to have him were worth every bit of heartache! I love my husband and my children. I couldn't imagine life without them. I love my cats and my bunny! I have to say that I love my family. When it comes down to it, nothing matters more to me. I love lots of things, like my family and friends, books, music, and movies! I love those quiet moments when the world around me is peaceful. I love to read. I love my husband, my children, grandchildren, and great grandchildren. I love the siblings I've been able to make contact with and those I haven't. And I'm learning to love revisions; they're amazing, especially after a very thorough crit. I love my little boy! He is the sunshine of my life! I love to spend time in my room, with my laptop, WIP, and music. I also love to spend time in the kitchen with my mom, drinking tea. Hi Lisa... I'm giving away an autographed copy of the supernatural thriller Drowned Sorrow for the Follower Love Giveaway Hop. Drowned Sorrow has been called "the scariest book of the year" and it's the story of a remote village where water has become a supernatural element that can think and kill. If you're interested, my contest is open internationally and can be found here: Follower Love Giveaway Hop - Win An Autographed Copy Of Drowned Sorrow. I love reading great books. :) Awesome giveaway! I love the fam. They are just great! I love my boyfriend and my cats quite a bit. And my family, too. I love the great outdoors---spring is coming! I love my family and of course a great book! he has changed my life so much! I love reading. Well, duh. Stating the obvious. One thing I love even more than reading though is photography! I love my wonderful husband! I love books! And chocolate! I love my husband, children, grandchildren, friends, and all my animals!! I love my mom she is all I have and my kittys they bring alot to my life and make me smile everyday! I love that you're giving away this book...I read about it and am totally dying to give it a a read. I love my boyfriend (: He's always there for me and does (almost) everything I ask him to do for me. He's nice, kind-hearted and is willing to put up with my crap. Thanks for the giveaway! I love creating lesson plans...and then seeing my students engaged when one REALLY works! The girls in my classes loved I Heart You, You Haunt Me! I love my niece! She lives in another state & I miss her a lot. I wish I could watch her grow up and teach her things. Thanks for the great giveaway! +1 GFC Follower: Saba M.
4 entries as I am Glenda Cates on GFC Facebook is Mommies Point of View and Twitter is Moms Reviews and I Love my son and my husband. Besides the obvious answer of family and friends- I have to say I love riding my horse. He's calm enough so I can hop on, hit the trail and read a book while he wanders (or I can take a nap). He's such a good buddy and when I ride him everything else melts away! I also love this great giveaway you have here ;) Thank you!! Well, right now I love YOU! Well, I always love you, but I'm feeling a bunch of extra love for you at the moment. You'll find it in a post on my blog that I'm currently editing a bit so I hopefully don't sound too crazy. I want both of these ARC's BAD! I love so many things. Obviously my family but since I was diagnosed with a rare progressive neuromuscular disease, things changed and people act differently towards me. That's where Bear comes in. He's my 110 lb German Shepard mix that never leaves my side and seems to always know what I'm thinking. I don't know what I'd do without him. I love my kitty cat! I know this sounds silly, but I love thunderstorms. We recently moved from a very thunderstorm-prone part of the country to a very dry part of the country and I miss the rain. I love my husband and 5 wonderful kids! I love my children more then anything. I wasn't complete until they came into my life. I love my family and friends! Thanks for the giveaway! I love my daughters and my grandkids, they make my life complete. I love my sweet little dog. I love my beautiful baby girl, even though she is going through her terrible two's. Haha. I love my grandmother...even though she is not with us anymore. She made me realise my love for poetry. Thanks for the giveaway and for participating in this blog hop! The "someone" I love the most is my husband and children for without them life would have no meaning or purpose. +1 Already follow via GFC (Bornajhawk). +1 "Liked" your author page on FB (Laura G. Henderson). The love of my life is my husband Jonathan. We'll celebrate our 16th wedding anniversary in April, and I love him more than ever! Well, of course I love my friends and family but outside the standard responses, I LOVE a lazy Sunday afternoon! I love DFW Writers' Workshop, my stalwart critique group. I couldn't have made it this far without them! I love my wonderful boyfriend :). I love my famliy and bf. They wonderful & loving =). Thank you so much for the chance! I love my family and animals. I love my family and my doggies!